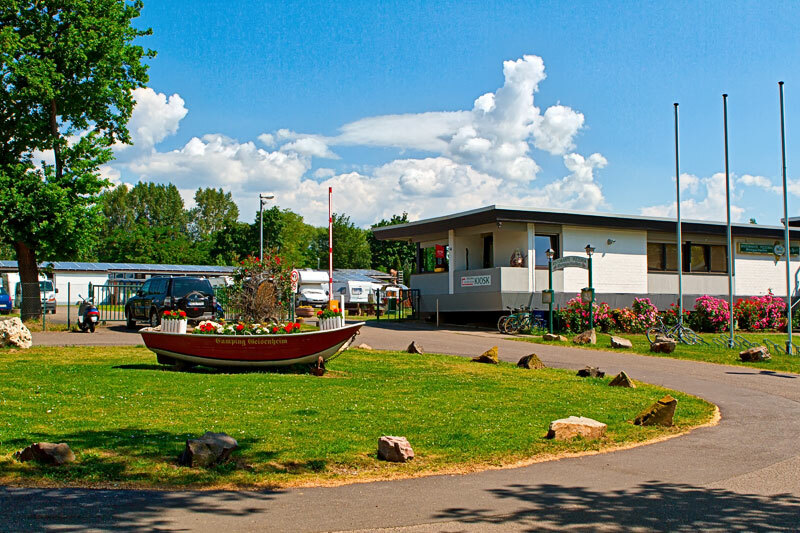 We’re open! 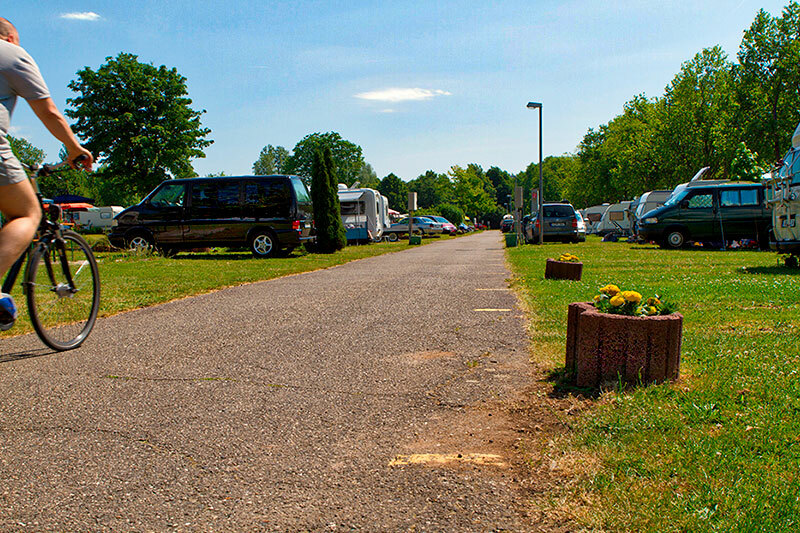 Since the 12th of march we have opened the new camping season 2019. 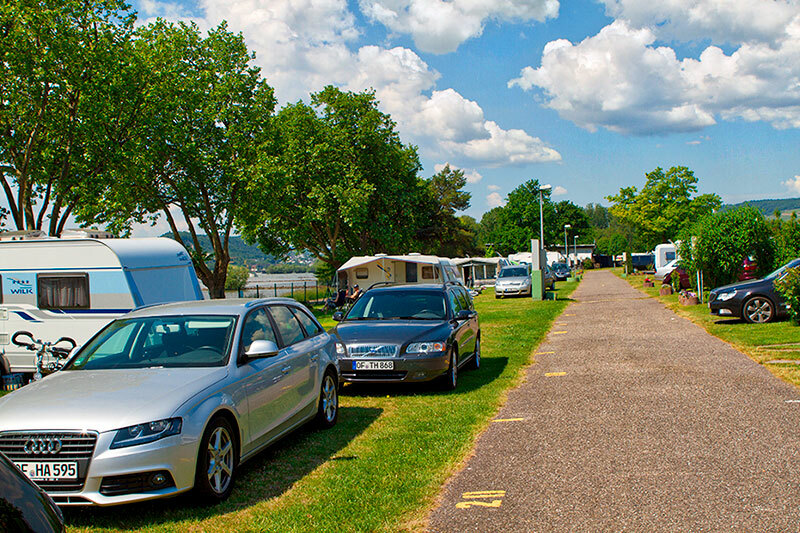 The complete team of the Rheingaucamping is here for you. 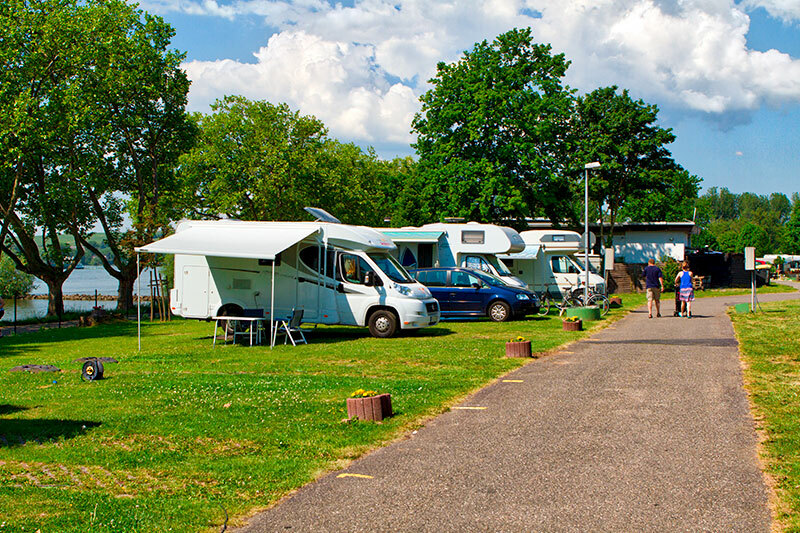 No matter if you visit us with a caravan or a motorhome, we will do our best to find the perfect pitch for you. 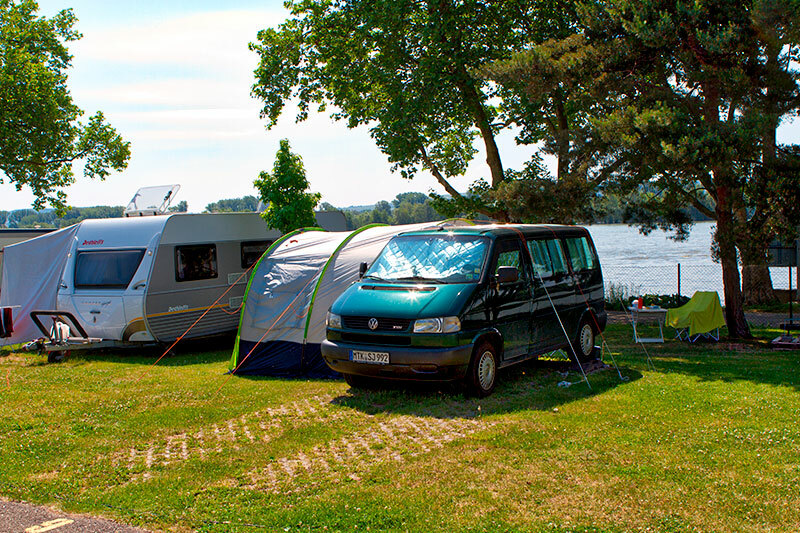 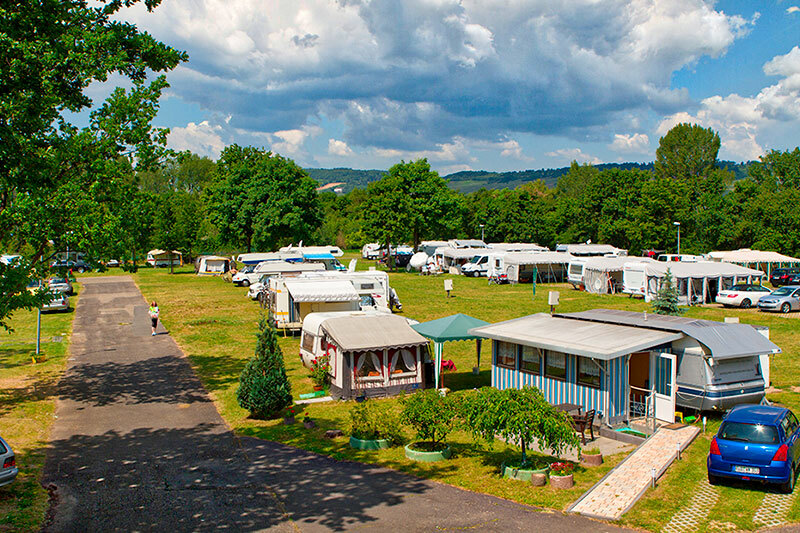 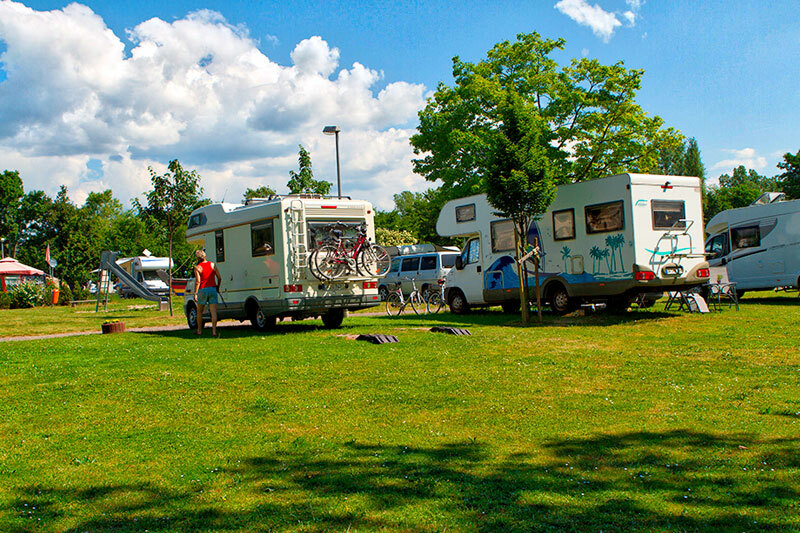 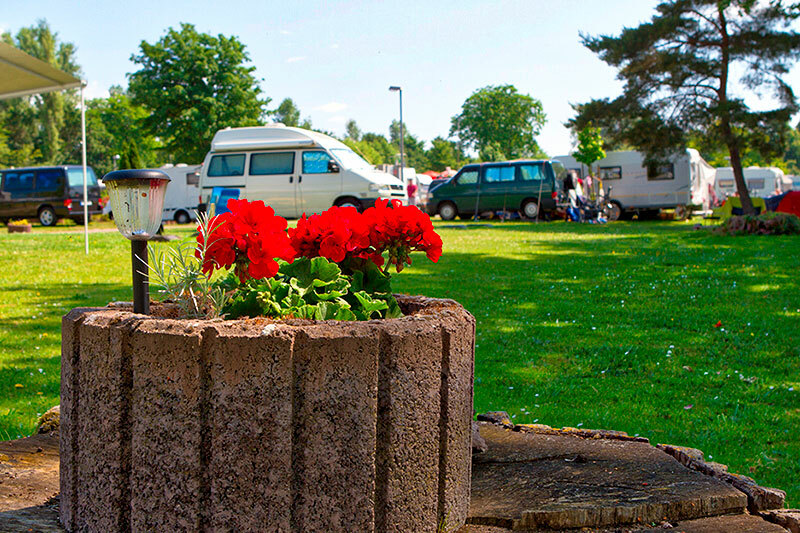 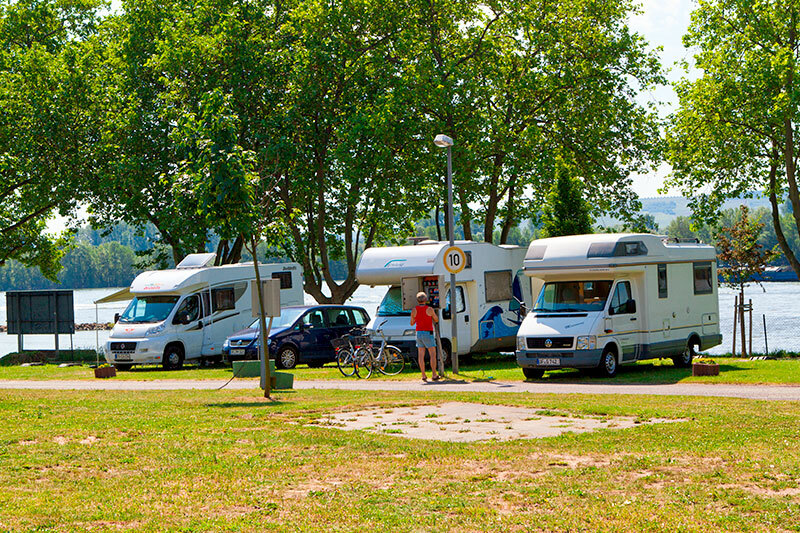 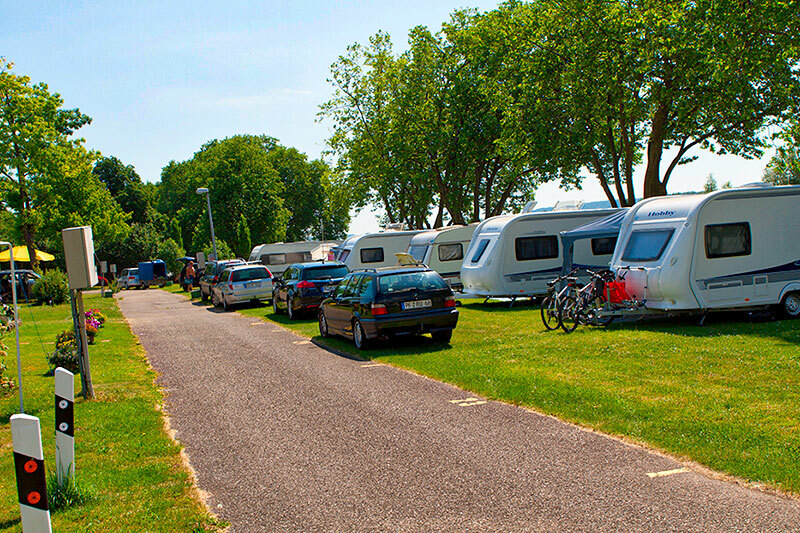 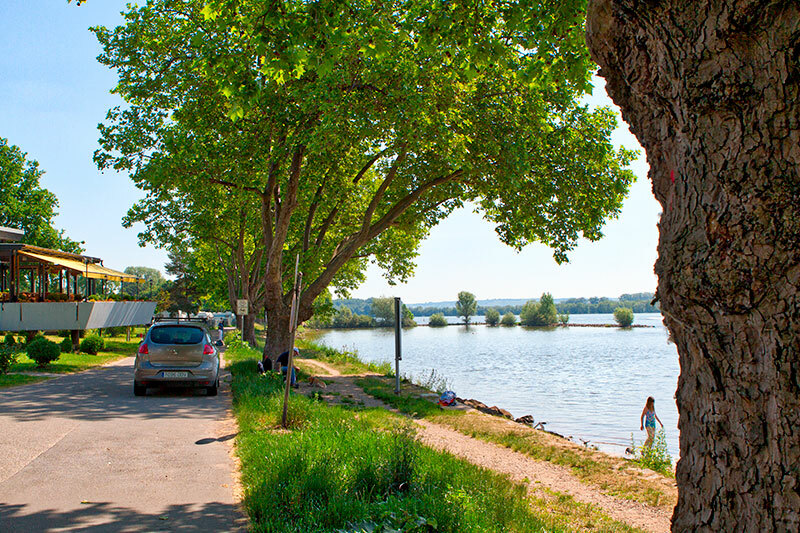 Situated within the magnificent scenery of the Rhinegau and immediately adjacent to the river Rhine, our campsite has 100 touring pitches and 60 permanent pitches. 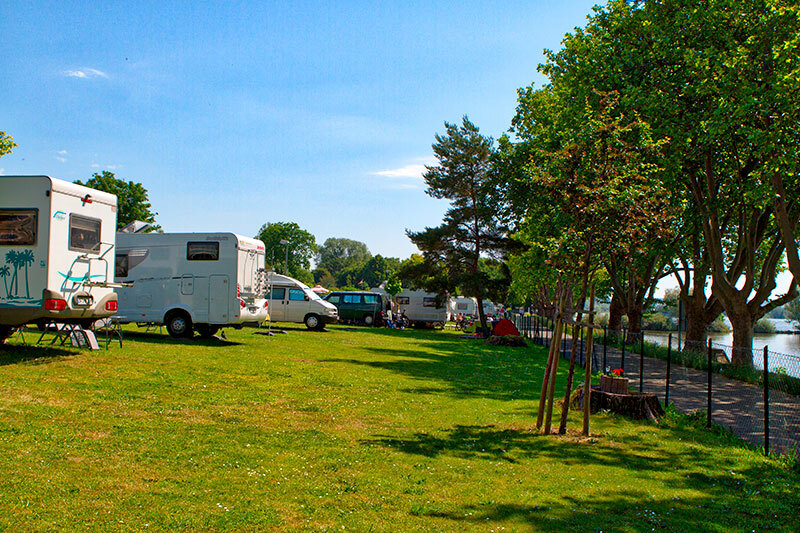 Our panorama pitches offer you direct river view to relax and enjoy the tranquil and idyllic riverside setting. 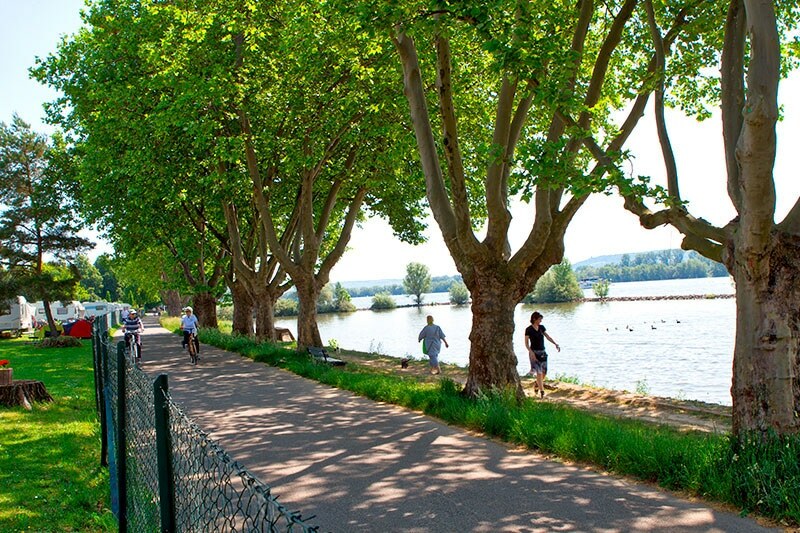 Take a walk on the banks of the river Rhine, make a boat-trip or take the cable car up to the Germania statue in Rüdesheim and do not forget to taste the famous Rhinegauer Riesling. 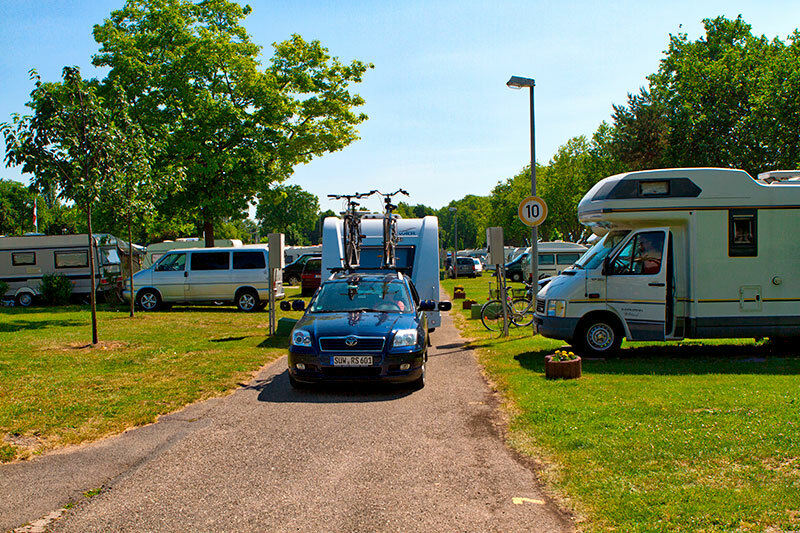 Between 13:00 o’clock and 14:00 o’clock our campsite have lunchtime. 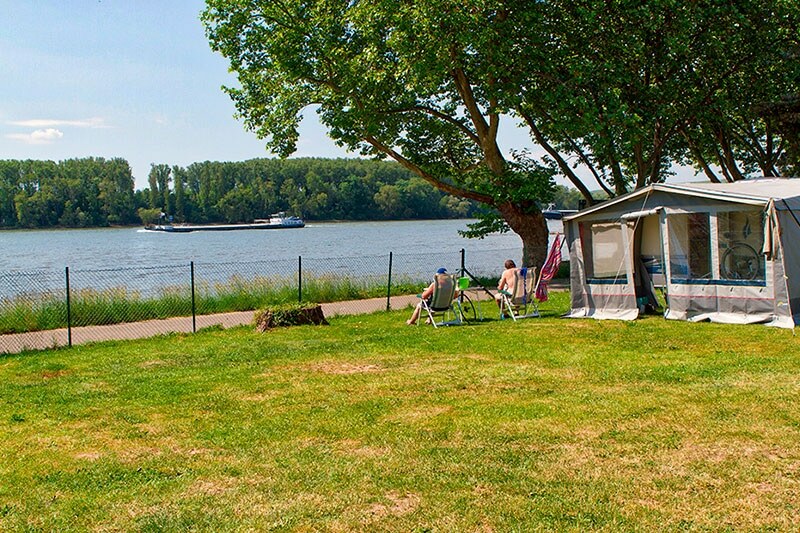 On this time our reception is not engaged.